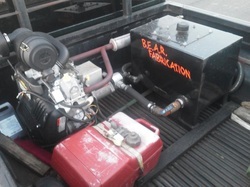 The hydraulic power unit for B.E.A.R. 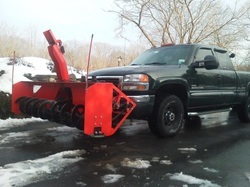 Fabrications snowblower which is built on its own frame making it easily removable from the bed of the truck. 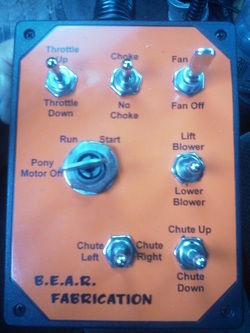 All controls are inside the cab of the truck, keeping you out of the cold. With over 12" of lift, B.E.A.R. 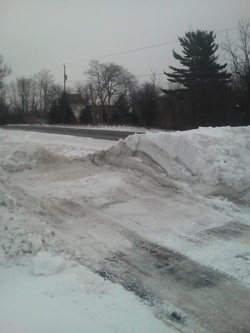 Fabrications snowblower is user friendly while driving from job to job. 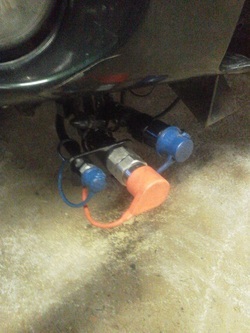 Hydraulic quick disconnects make it easy to attach and detach B.E.A.R. 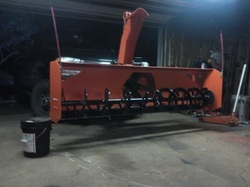 Fabrications snowblower to the front of your truck. 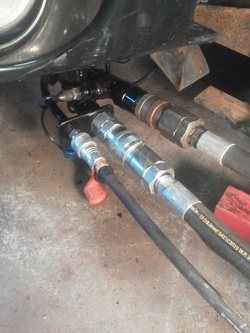 Hydraulic disconnects connected enabling snowblower ready for use!! Warning labels, showing you the dangers and keeping you out of harms way. 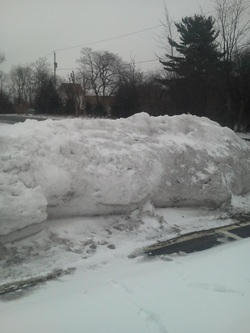 A seasons worth of snow compiled into a frozen snow bank about 4 feet tall and 8 feet long. Roughly 12 minutes later B.E.A.R. Fabrications snowblower successfully cut through the frozen bank leaving a clear path! please check the video out to see it in action! Weighing between 750 and 800 pounds, B.E.A.R. 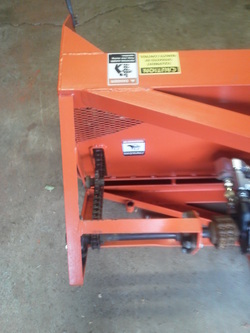 Fabrications snowblower keeps the wear off of the front end of your truck.